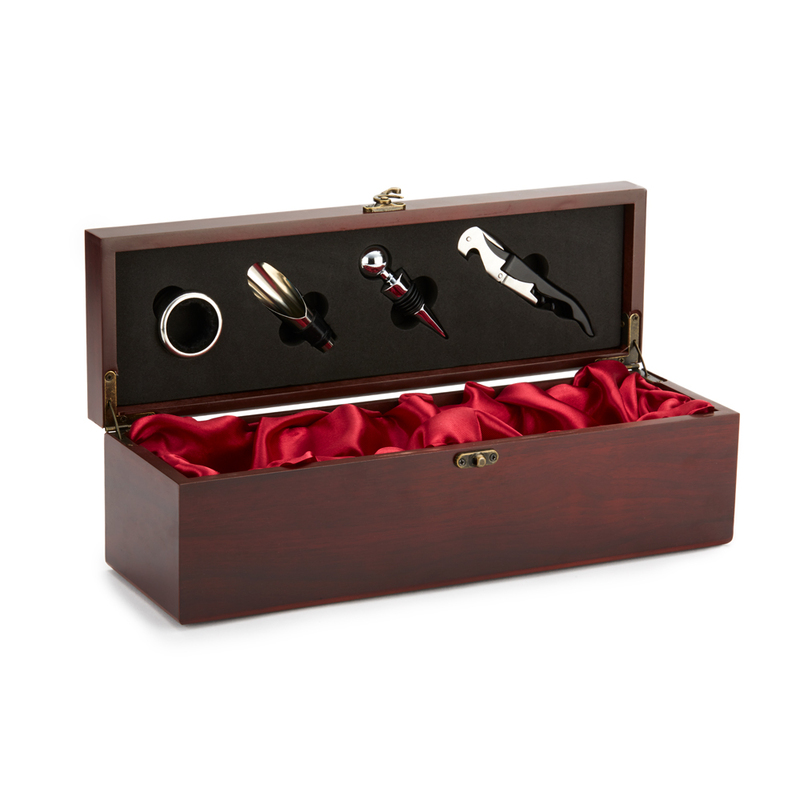 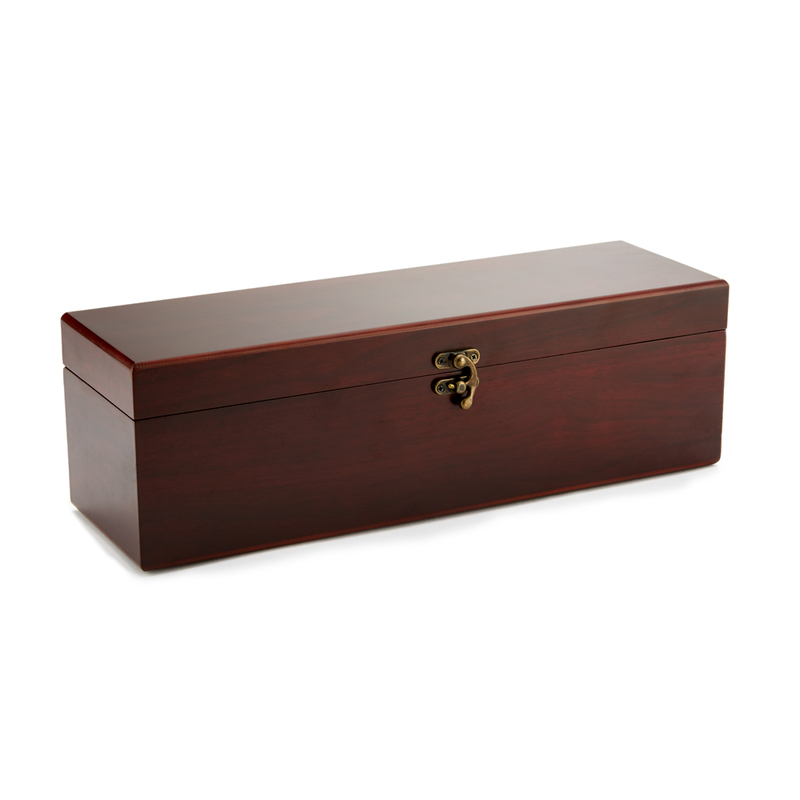 This beautiful rosewood finished wine gift box set is the perfect gift for a wine lover. 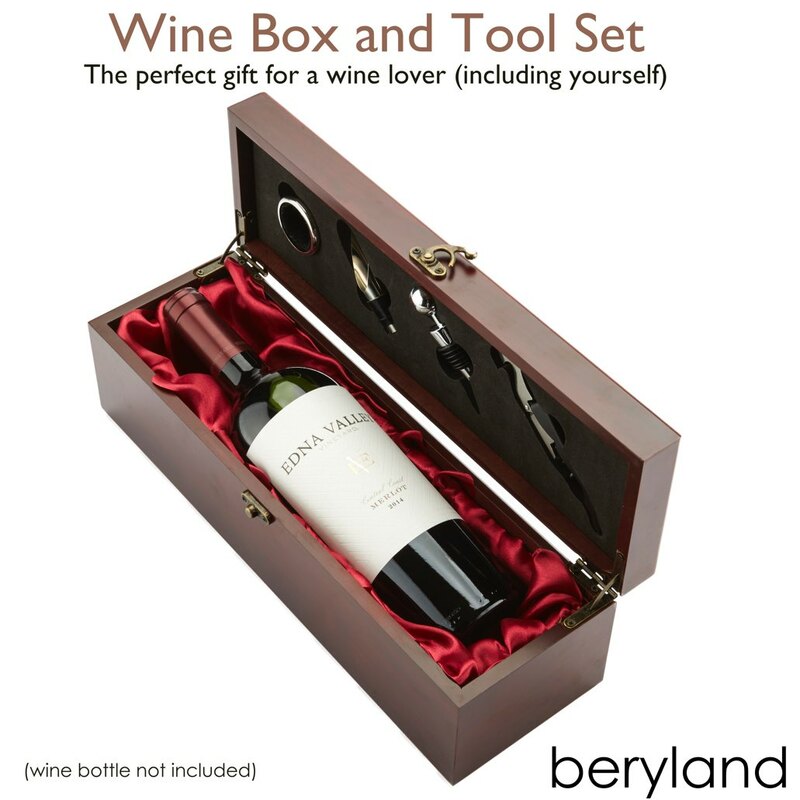 Includes 4 wine tools; a foil cutter, aerator, stopper and corkscrew. 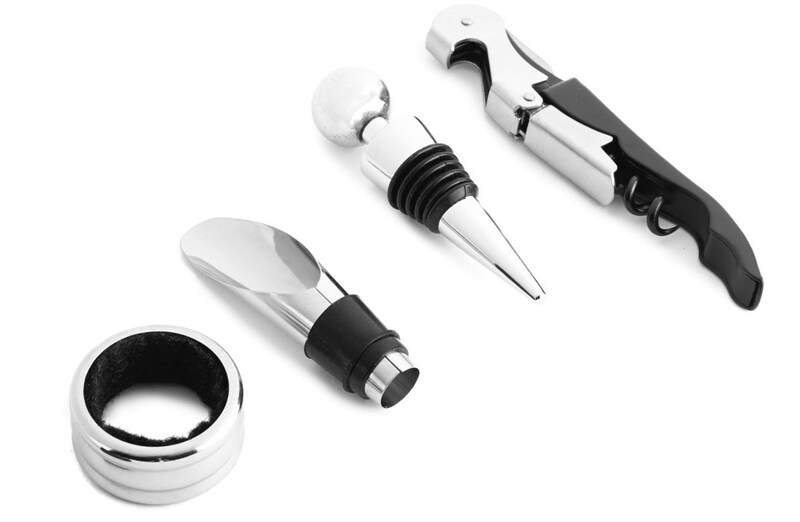 Tools are made of solid, heavy-duty stainless steel. 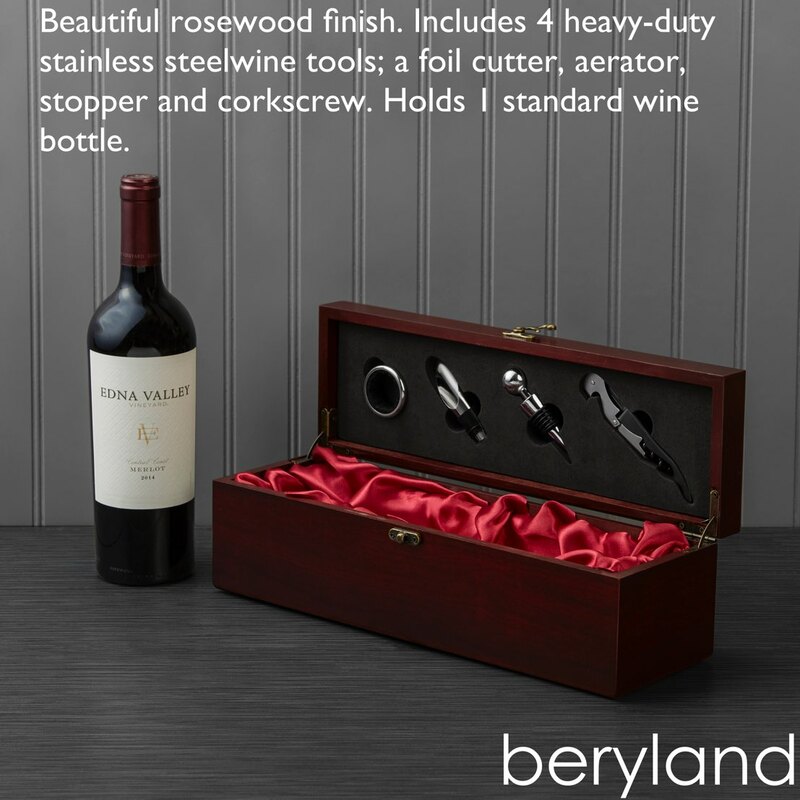 Perfect for celebrations at a friend’s house.